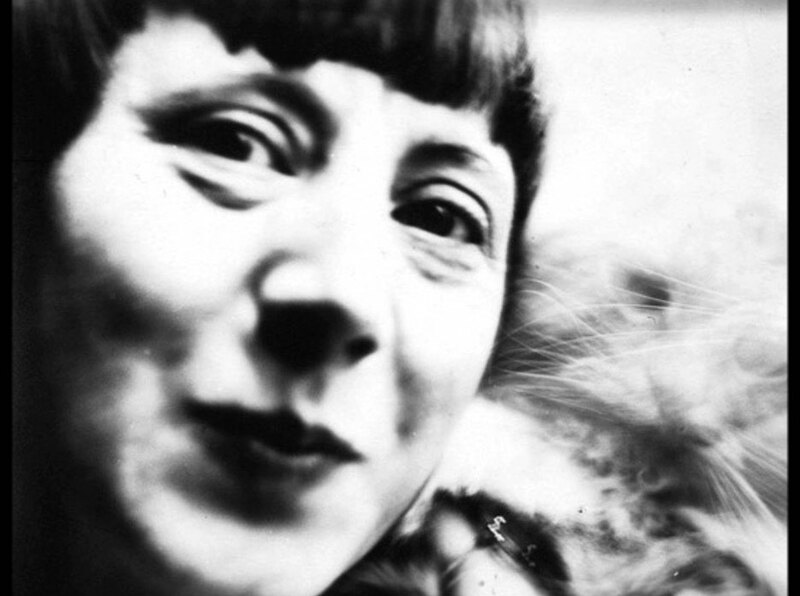 If the Whitechapel Gallery wanted to distance itself from the reductive assessments that have been Hannah Höch’s fate – the Dadaist, the feminist, the bisexual ex-girlfriend of Raoul Hausmann – then they have done a pretty good job with this exhibition, the largest retrospective of Höch’s work ever staged in the UK. 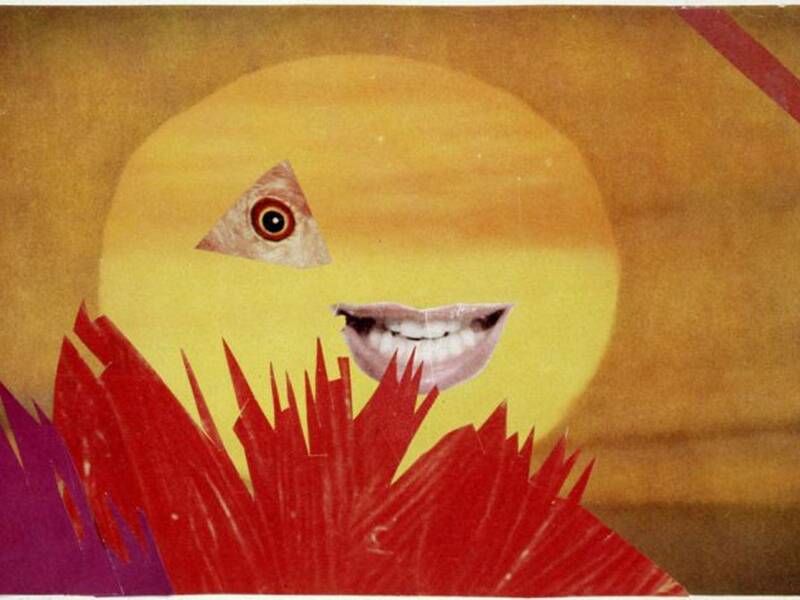 Born in 1889 in Gotha, Germany, Höch exhibited in the first Dadaist exhibition in 1920. 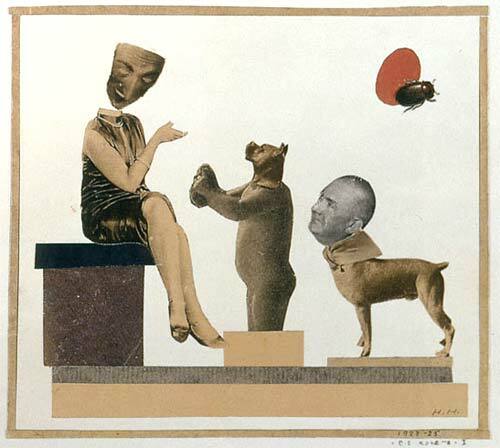 The anti-art spirit of Dadaism had been a direct reaction to the horrors of World War I and much of Höch’s most famous work emerges from the increasing social instability of the interwar years. But it is a drive of a more personal nature that is illuminated by the work on show at the Whitechapel; a response to gender, self-definition, resistance and mobilisation. The essence of her language of re-examination and re-addressing patriarchy is to dismantle the world through its populist manifestations and create something new with insightful sharpness, wit and an instinct for subversion. Coquette (1925) is a playful myth/pop romance. An expensively dressed flapper sits atop a plinth, her mask-like face teetering on the edge of her neck and threatening to float free. Her attendees are a child with the head of a dog and a dog with the head of a man. A beetle crosses what reads as the sun. Coquette audaciously sets up its references; the Ancient Queen/Thoroughly Modern Millie is god-like, her suitors are subverted allusions to infancy, the animal and the patriarchal. Dialogues concerning race, colonialism and the dominance of the West infuse certain works. In the Untitled (From an Ethnographic Museum) series, images of traditional African masks and sculpture become flesh, become fashion, become cinematic and performative, and the connotations that these objects bring – of religious and cultural significance – become part of a dialogue concerning institutionalisation and involve flippant sampling. The spectre of the ‘Ethnographic Museum’ evoked by the series can be seen as a metaphor for the rewriting and favourable editing of history and cultural significance, as well as the objectification of women and the ‘other’, a recurring theme in her work. The political and cultural landscape of the interwar period imbued her work with an urgency and specificity which has long maintained the sense that it is a statement of intent, a comment. There is a joyful anarchy that feels like it can be broken down and analysed, it feels like it can be ‘interpreted’. The racial cues, the gender inversions and the unhinging of patriarchal prejudice feel like propositions of rebellion delicately crafted and intricately snipped into place. Yet the standard set by this perception means that Höch’s later work (of which a great deal is on show here) can lack some of that purpose and, as such, has been often overlooked. 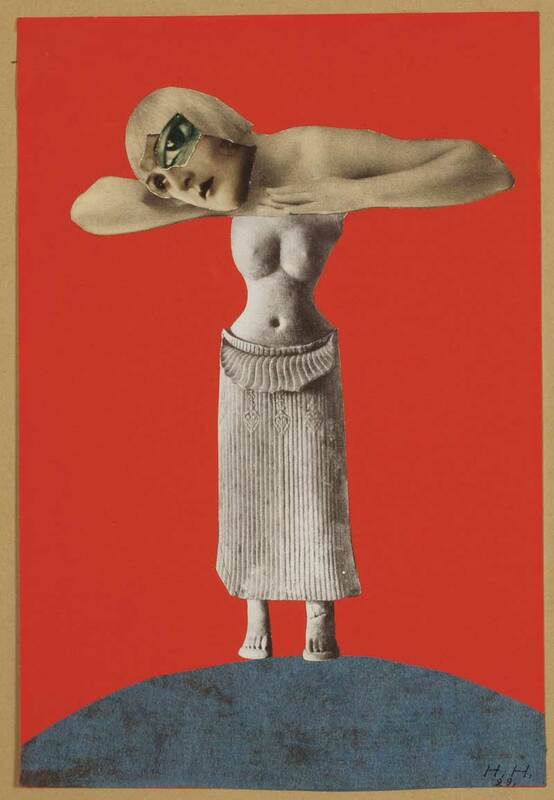 She is to art history ‘The female Dadaist’, and while that period was a time of great productivity for her, as a summary of her work it is over-simplified. Her post-war work becomes more introspective, more abstracted and poetic in a way that serves to re-frame her more famous works. The Whitechapel takes this period more seriously than most, and does a good job of introducing us to subtler artist, one who has developed a more personal language, without the earlier fireworks of fervently undermining the Third Reich with decapitated flappers. Abstraction, expanding post-war consumer culture, the fantastical and mass entertainment, are the themes that come into focus in Höch’s later work, proposing fugitive spaces in a continual state of flux, suggestions of synthesis and undoing, dislodging image from association and keeping their new found ambiguity perpetually in play. The work has not become less political, it has just altered its relationship to politics. There is a fainter sense of mistrust built in to her escapism, of the sinister in the seductive, of the fight in the fantasy. There are fewer emblems here, fewer symbols, but a nagging buzz beneath the beauty that often refuses to show itself in the starkness of her earlier work. There are problems with this show of course, but they are not Höch’s responsibility. There is far too much work for a start. In focusing only on her collages, the Whitechapel has presented itself with the problem of making a dynamic exhibition out of a lot of similarly sized, quite small works. The answer is not to cram them in. These works demand close inspection and time. It could have done with a strict edit, not to give the show less space but to give each individual work far more. These pieces are, at their best, powerful propositions and jewel-like negotiations of gender, subjectivity, identity, politics, oppression and fantasy, and a truly remarkable show would be one that trusted those works to carry themselves with a presence beyond their scale. Having said that, in Höch’s words, “art is the daughter of the spirit” and the Whitechapel has presented a rare and valuable opportunity to commune with the ambiguity and the mystery of that spirit, not to simply rely on her reputation as a satirist and an activist. The exhibition closes with one of her final works, Life Portrait 1972-3, a very large collage of collages in which Höch revisits her artistic legacy in a way that reminds us to ask why it has taken so long for a British gallery to do the same. Life Portrait is both amusingly grandiose and endearingly gauche, the repetitive punctuation of Höch’s face tapping its way evenly across the surface, jostling for space amongst a roll call of her trademark imagery. This could so easily have gone horribly wrong, but it doesn’t. Höch’s revisitation is an epic swansong as much as it is an act of creation. It is a contemplation of that “daughter of the spirit” present through a life’s work spent embracing ephemera just enough to intuit its evocations, before turning its back on itself.